How about radio? Is the sound bite society, with the attention span of a gnat still tuning into talk radio? Should entrepreneurial authors still consider radio as part of their marketing mix? Being a guest on talk radio continues to be one of the most effective, marketing mediums, provided you, the guest, does a professional job. Am I biased? Yes. I was a radio host for 6 years on WIND and WLS in Chicago. You see, radio has one of the most dedicated & loyal audiences out there…they pay attention. Fans of broadcast radio are active listeners because they can interact with the host. Sure, a consumer can comment on a blog, but rarely does the blogger answer back. Even if they do, it takes a day or two for a response. Hardly conducive to the microwave, ‘get it fast’ medium that the internet has become. Now, when you add instant messaging to the mix, you can resemble talk radio, but emotion is rarely present in chat. So, radio is far from dead. However, there are guidelines that can make your interview expand and solidify your message and brand or missteps that can cut you short and never get you invited back. Here are a few do’s and do not’s from my PR consultant friend, Marsha Friedman. 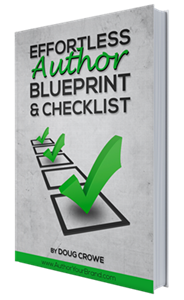 Don’t position yourself as an author. Instead, position yourself as an expert on your topic or your industry. Sell only your depth of knowledge and your ability to help answer key questions about some aspect of your topic that may have been in the news recently. Someone who’s researched and written about war, be it for a novel or non-fiction, might talk about the situation in Syria. A fitness expert can discuss the physiology of Diana Nyad’s incredible swim from Cuba to Florida. Engage the host. People are usually fans of particular shows because they’re interested in what the host has to say, so if you can engage him, you will engage his audience. Talk candidly and openly about your topic and make sure your advice is honest as well as conversational. Don’t worry about entertaining the listeners; focus on entertaining the host. Don’t sell. Stay on topic during the interview, and always find a way to mention the free material on your website that could benefit the host’s listeners. If you give a great interview and offer helpful information, you don’t have to worry about trying to “sell” your product or book. The host will do it for you. There are thousands of shows across the country, including many with niche audiences that are perfect for your message. And, you can speak to them from your home or office with barely an interruption in your work day. If you comment below, I’ll send you a list of 100 radio stations (with contact information) to pitch your expert status to. Just be sure to be professional, keep it real, brief and make the producers’ job easy. Provide a synopsis. Have a brief synopsis of what your message is. Put it on a single page and list your other media experience. Hosts are wary of people without experience because they might not be able to take commercial break cues or be dull on air. Connect to Current Events. If you are an expert with relationships, comment on how your method could be used to prevent the most recent celebrity break up. Make their job easy. Provide them a set of questions they can ask and let them know how long your answers are. This isn’t 60 minutes. Make their job easy by giving them the questions you can answer. By providing estimated answer length, they can time the questions to their show’s format. What about blog radio? While some of these are live, many audiences can’t tell the difference and many don’t have the call in capability of broadcast radio. Many listeners tend to download these as podcasts and listen to them later. Nothing wrong with that and there is some credibility to establish. But, for live, highly interactive exposure and instant marketing muscle, you can’t go wrong with a well-positioned and professional interview on broadcast radio.